Enjoy the interview and please let more about Cory immediately after. Also, please read other Lean Leadership Interviews in the series. Thanks Cory. 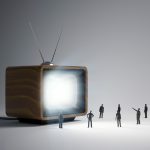 Can you tell my audience about yourself and your current work? I have been involved with Lean and Continuous Improvement in one way or another since 1996 when I took my first job out of college working as a Manufacturing Engineer for Kawasaki. Although I didn’t realize it until years later in another position with a different company, Kawasaki really did a great job with their version of Lean, the Kawasaki Production System. I was never formally trained in Lean while at Kawasaki, but I later realized is that I didn’t need to be. 5S, Kanban, Andon, Visual Management, 1-piece flow, quick changeover, etc. were all just part of how things were done – part of the culture. It was really a great experience. I was a private tutor of sorts to the manufacturing team. My next job took me to another manufacturing facility, but this time a manufacturer of professional grade communications equipment, Telex Manufacturing (Electro-Voice being one of their most known brands). Over the years, Telex tried various improvement methodologies and consultants including Lean and Six Sigma. It was here where I was trained as a Master Blackbelt in Lean Six Sigma and later promoted to be the Manufacturing Engineering and Continuous Improvement Manager. Six Sigma was the methodology of choice for many years until Bosch purchased Telex in 2006 and the focus switched back to Lean, although Six Sigma tools were still used. Bosch took Lean for me to a completely different level and I was fortunate enough to partake in many different projects and events. Wanting to focus my efforts solely on continuous improvement, I next took a job with Caesars Entertainment as a Continuous Improvement Leader for two of their casino’s. It was great to get some experience with the customer service side of things and I must say that the gaming industry was quite interesting behind the scenes. This all finally led me to start looking for a position where I felt that I could make a greater impact on the daily lives of people and a lot of what I was reading about new applications of Lean peaked my interest in healthcare.. When a Lean position with Nebraska Methodist Health System opened up, I jumped at the chance and have been with them for about a year and a half now. Although nowhere near where we want to be long term with Lean, we now have a team of three Lean Improvement Specialists that are leading and mentoring Lean projects on a daily basis while we continue to work on our plans to make Lean a part of the culture. I am also now on my second semester as an adjunct professor for the Nebraska Methodist College, teaching an introduction to Six Sigma class in their professional development program. In a previous interview, we spoke with Mark Graban, the author of several books on lean for healthcare. 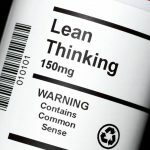 There has, in the last few years, a lot of interest from the healthcare industry in adopting lean. How come? It all comes down to payment reform initiated by the government and now being replicated by private insurers. Previously, healthcare reimbursement was pay for service, not a pay for performance. In the past, providers and hospitals were reimbursed for the quantity of tests and procedures completed not necessarily the patient outcomes or results. Moving forward, providers and hospitals will be reimbursed based on patient outcomes. This has forced healthcare in general to reassess its’ processes to not only make them more efficient but also more effective. Lean is one tool that many healthcare systems have implemented with the approach of maximizing value and eliminating waste in an effort to provide the best care possible. Lean is not new in healthcare, and several early adopters have had outstanding results (both financially and clinically) by adopting lean philosophies. However, until payment reform began applying additional pressure, healthcare in general was slow to jump on the Lean bandwagon. Tell us about the Nebraska Health System. What’s the approach to applying lean there and the focus? I’ve seen in some healthcare implementations of Lean that there’s a good amount of focus on back-office processes and some on the patient care side. How about you? Nebraska Methodist Health System employs over 5000 with three hospitals (Methodist Hospital, Methodist Women’s Hospital and Methodist Jennie Edmundson Hospital), 21 health clinic locations, a nursing and allied health college, and a medical supply distributorship and central laundry. Lean is still very new within Methodist. We are focused on engaging employees in Lean through kaizen events and value stream mapping projects. Additionally, we are working on making Lean a part of the culture through teaching proper problem solving and focusing on making smaller improvements on a daily basis. One advantage at NMHS is that there were already a lot of improvement projects being worked on throughout the health system and most people were already familiar with the PDSA principal. Lean has complimented the work already being done well and brought additional focus on maximizing value and reducing waste in our processes. We have had a good mix of projects so far, with projects focused on back-office business processes as well as the processes that directly support those who provide care. Lean projects dealing directly with patient care have been limited so far, but some recent work has focused on standardizing best practices and eliminating wastes in these processes. Given the recent controversy with Ebola and lack of safety protocols at some hospitals, do you feel there’s a way Lean might be able to help in preventing care workers from being exposed to Ebola? How? Let’s pretend you’re the Ebola Czar that President Obama put in charge, what would you do, given your experience in Lean? Yes, one of the basic principles of Lean is creating and maintaining standard work. It all starts with standardizing the best known practices. If not already known, you bring in a group of experts to help develop the best practices. If needed, tests/simulations can be used to evaluate and hone the standards before they are implemented. At Nebraska Methodist Health System we are very lucky to be in an accountable care organization (Nebraska Health Network) with Nebraska Medicine, who have successfully treated and released 2 Ebola patients so far. Their guidance and best practices from the CDC and Emory Healthcare have helped develop our own internal standards. Once standard work has been created, all employees who might come in contact with an Ebola patient must be trained. I’m not talking about an e-mail blast with bullet points either – hands on training with real life simulation is needed. In addition, stocking of proper equipment and supplies, per the standard, needs to occur in all areas. As with all standard work, accountability and reinforcement is needed to ensure the standard is being followed. We hope Ebola cases are far and few between, so this may mean refresher training in the future as well additional drills/tests to ensure everyone is properly prepared and knows what is expected of them. Any Lean process that is put into place needs to be constantly evaluated and improved if need be. If an Ebola patient is admitted and then discharged from Methodist, the team will need to evaluate if all protocols were used appropriately or need updating. Back to your work at Nebraska Methodist. 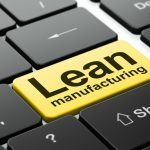 Can you share, generally, some of the projects where Lean is being applied – perhaps some context around the problem, how care workers were involved in the process, and the solutions and results? Of course, nothing proprietary – but I think other Lean healthcare practitioners would love to learn from your experience. We have had several projects focused on improving the flow of patients and information through the health system. In one particular project, a team focused on improving the time it takes to enter lab orders for the external offices located in the Methodist Estabrook Cancer Center. Although located within the Methodist facility, they are not officially part of the Nebraska Methodist Health System and thus are not on the same Electronic Medical Record (EMR) system. Both of these offices use the Methodist lab for their patients and have to send paper orders for lab tests that then have to be manually entered into the Methodist EMR system. On top of this, patients end up having to register at both locations. You can already see all of the waste in this process with just a short introduction! A kaizen event, facilitated by the NMHS Lean team, was held. Participants included in the event were front line staff representation from both offices as well as from the registration staff that enter the orders manually. Through process mapping and process observations, many wastes were identified, improvements developed and prioritized, and an implementation plan put in place. The order entry process time was cut in half through adopting best practices as well as moving from batch processing to 1-piece flow. Many other improvements were also made, including an electronic interface between one of the external offices and the Methodist EMR (currently in the works, this will completely eliminate manually entering lab orders for these patients). One waste that was noted during the event was printing an entire sheet of patient chart labels and a patient arm band. The team decided to move from the printed arm band to a much cheaper paper arm band, attaching one of the extra chart labels that were never used. This helped with reducing the process time, but also eliminated having to purchase expensive arm bands. Another project was recently completed in the Emergency Department at our Nebraska Methodist Hospital location, focused on reducing the throughput time for discharged ED patients. We had great participation in this event as well, with ED doctors and nurses, as well as representation from Imaging, the Lab, and the Pharmacy. I won’t go into the details on this one, but the team managed on average to reduce the throughput time for discharged patients by 13 minutes per patient! As with all of our Lean projects, the cross functional team not only participated in the kaizen event, but were also tasked with leading the actual improvement activities. Our team is also engaged in business office projects. As I am typing this, my colleagues are engaged in a Kaizen event with the Denials Management team. The team is focused on reducing the time required to manage each billing denial – an effort to prepare for an expected increase in denials when the new ICD-10 coding is put into place next year. As usual, a cross functional team of front line staff and leaders is hard at work improving this process. There is another team set to begin work soon on actually getting to the root cause of billing denials and working to reduce the number that occur in the first place. You mentioned that you are an adjunct professor, teaching Six Sigma to students in healthcare. What are your thoughts on integrating Lean and Six Sigma? Is there a way to reconcile them both, or do organizations need to choose either Lean or Six Sigma? What are your thoughts? That is a great question and actually one of our discussion topics in the class I am teaching. I think the recent movement to combine the two into Lean Six Sigma has proven that the methodologies can successfully complement each other. I have used both within the same organization in the past, at the same time – using Lean as the primary improvement methodology, but also using Six Sigma on harder to solve/more complex problems that Lean alone was unable to improve. That actually seemed to work quite well. 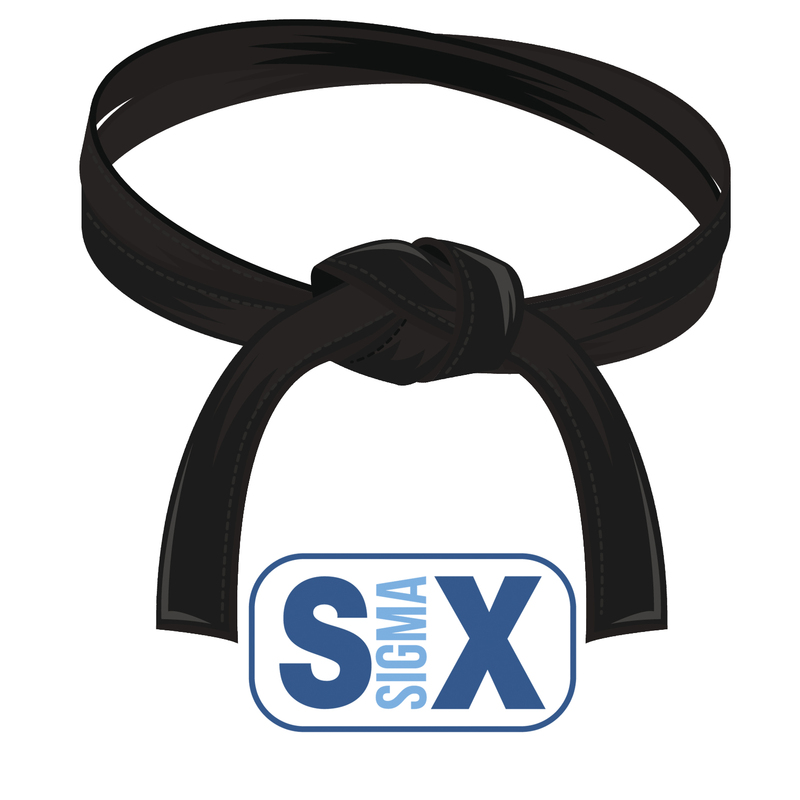 Knowledge/experience with Six Sigma also lends itself well to those that are practicing Lean, as it adds an additional tool set that can be used to bring additional data analysis into decision making. 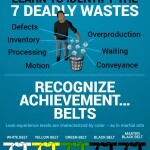 The same can be said for those practicing Six Sigma – experience with Lean can add additional skills and tools. 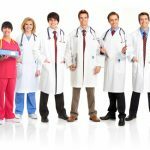 Cory, what do you suggest to a reader who has a strong background in Lean or Six Sigma, but is interested in entering the healthcare arena, but they are currently outside the healthcare industry. What do you suggest they do in order to make the transition to healthcare? I have found that the healthcare arena really isn’t that much different than other industries I have had experience with in terms of the application of Lean and/or Six Sigma. Healthcare does have a specific set of challenges though, and I would strongly advise anyone interested in working in healthcare to research the current state of healthcare in the United States and what is happening with healthcare reform. There are a lot of politics involved and in my opinion a lot of general misconceptions. As with all improvement work, it is good to know the reasoning behind why the improvement is needed. Understanding healthcare reform will help anyone entering that arena to understand why good improvement professionals are needed and what challenges the industry faces. Thanks Cory. Is there anything else you’d like to share with my audience? Back to your previous question, I would encourage anyone currently experienced with Lean and/or Six Sigma to give healthcare a look. In my short time in healthcare I have found it to be a very rewarding industry to work in. There aren’t very many other industries where the work you do on a daily basis can have such a direct positive impact on the lives of others. Cory is currently a Lean Consultant for the Nebraska Methodist Health System as well as an Adjunct Professor teaching an introduction to Six Sigma course at the Nebraska Methodist College. 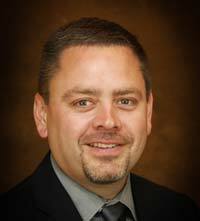 He has over 18 years of experience in Process Improvement, Project Management, and Manufacturing Engineering. Cory has been with the Nebraska Methodist Health System for 2 years. Prior to this, Cory spent the greater part of his time in manufacturing but also worked on the customer service side of process improvement in the casino entertainment industry. Cory is an active member of the Omaha Lean User Group in Omaha, Nebraska, who just finished their 4th community kaizen event. In these community kaizen events, the group focuses their expertise on making improvements within organizations in the community that don’t have the resources necessary to facilitate improvement efforts on their own. Outside of work, Cory enjoys spending time outdoors camping, fishing, and hunting.